Today I found out about a man who fairly accurately estimated the circumference of the Earth well over 2,000 years ago: Eratosthenes of Cyrene. Eratosthenes was able to accomplish this in part because of his education in Athens. There, he became known for his achievements in many different fields, including poetry, astronomy, and scientific writing. His activities became so talked about, in fact, that Ptolemy III of Egypt decided to invite him to Alexandria to tutor his son. Later, he would become the head librarian of the Library of Alexandria. The mathematician must have been thrilled to have this opportunity. The Library of Alexandria was a hub of learning at the time, attracting scholars from across the known world. Eratosthenes was able to rub shoulders with the likes of Archimedes while continuing his own learning. It was probably in the Library of Alexandria that he read about a curious event that took place in Syene (now Aswan, Egypt) at the summer solstice. Syene sat to the south of Alexandria. At high noon, the sun would shine directly overhead and there would be no shadows stemming from the columns. 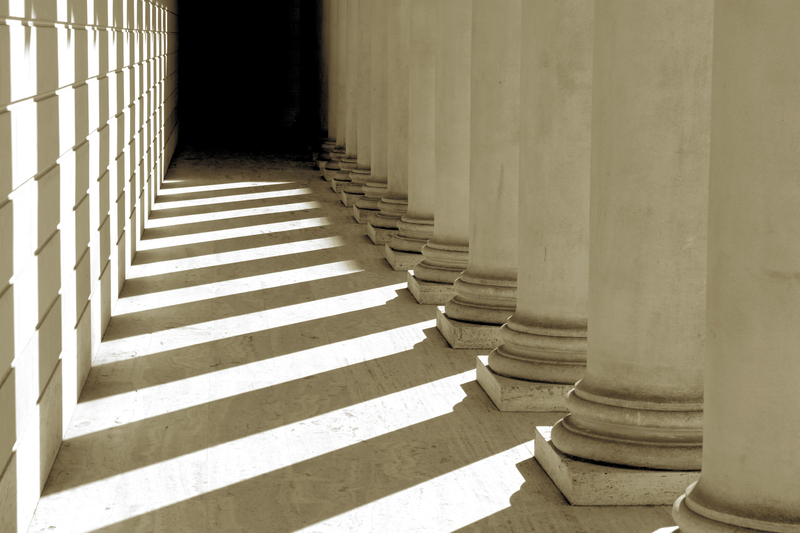 However, Eratosthenes realized that at the same moment in Alexandria, columns clearly did have shadows. Being a good mathematician, he decided to use this knowledge to do a few calculations to figure out the circumference of the Earth. To do this, Eratosthenes measured the shadow of an obelisk on June 21 at noon. He discovered that the sun was about 7°14’ from being directly overhead. He realized that, because the Earth is curved, the greater the curve, the longer the shadows would be. Based on his observations, he hypothesized that Syene must lie 7°14’ along a curve from Alexandria. Furthermore, he knew that a circle contained 360°, which meant that his calculation—7°14’—was roughly one fiftieth of a circle. Therefore, Eratosthenes thought, if he multiplied the distance between Syene and Alexandria by 50, he would have the circumference of the Earth. The missing information was simply how far away Syene was from Alexandria. He measured the distance in stadia. There isn’t an exact modern day conversion to stadia, and it isn’t perfectly clear which version of the stadia Eratosthenes was using, but regardless, from what is known, his estimation was remarkably accurate. There are two theories as to how Eratosthenes figured out the distance: first, that he hired a man to walk there and count the steps. Second, that he heard a camel could travel 100 stadia a day, and it took a camel about 50 days to travel to Syene. Whatever the case, he estimated the distance between Syene and Alexandria was 5,000 stadia. If that was the case, then using his formula, the earth was 250,000 stadia around. Due to the uncertain distance that stadia represents (and particularly which stadia he was using), historians believe that Eratosthenes’ conclusion was between .5% and 17% off the mark. Even if the latter case was true, it was astoundingly accurate given the limited technology he was dealing with at the time. But many scholars think it likely that he was using the Egyptian stadia (157.5 m), being in Egypt at the time. This would make his estimate only about 1% too small. There had been previous attempts at discovering the Earth’s circumference (which don’t count as “first recorded” because their methods didn’t survive, though we have references to them) which resulted in a 400,000 stadia figure, 150,000 more than Eratosthenes’—obviously far from accurate. While finding the approximate circumference of the Earth was probably Eratosthenes’ largest contribution to scholarship at the time, it was by no means the only one. Eratosthenes is also credited with coming up with a way to map out the known world by drawing lines north-south and east-west—early latitude and longitude lines. However, these lines were irregular and often drawn through known places, meaning they weren’t entirely accurate. Nevertheless, it provided a precursor for maps we know today. He is also remembered for the Sieve of Eratosthenes, a simple algorithm that makes it easy to find all prime numbers up to a certain limit. Though none of Eratosthenes’ personal work on the sieve survives, he was credited with the creation of the algorithm by Nicomedes in his Introduction to Arithmetic. Not only that, but Eratosthenes estimated the distance to both the sun and the moon, and measured the tilt of the Earth’s axis all with amazing accuracy. He also wrote the poem Hermes, correctly sketched the route of the Nile, and even gave a more-or-less accurate account of why the Nile flooded, something that had baffled scholars for centuries. He worked on a calendar that included leap years and he also estimated and corrected the dates of various historical events beginning with the Siege of Troy. Despite these accomplishments and many more like them, Eratosthenes was often nicknamed “Beta.” Beta is the second letter in the Greek alphabet and referred to Eratosthenes being second-best in everything he did. Eratosthenes died around 194 B.C. and is thought to have starved himself to death. It is believed that he started going blind in his later years and, unable to continue his work, he simply stopped eating. A man named Posidonius copied Eratosthenes’ basic method about a century later, using the star Canopus, Rhodes, and Alexandria as starting points. However, he didn’t measure the distance between Rhodes and Alexandria correctly, resulting in a circumference that was smaller than Eratosthenes’ estimation. It was this circumference that was recorded by Ptolemy in his geography treatise and later used by explorers looking for a quicker way to the Indies. Was Eratosthenes of Cyrene the first one to figure out the circumference of earth? Part of your article is erroneous and should be taken out as mere opinion and conjecture as the statement made has no correlation to what the article implies but puts a seed of bias into the readers mind. I am speaking of the bracketed words in the intro that says (“and yes, people at that time knew the earth wasn’t flat contrary to popular belief). Since this article, Scientific groups other than NASA liars have voted the Earth Flat. It always was flat until the 1600’s, when an influential man had an idea that was later debunked but revived by NASA in the early 20th century to hide the Continent of Antarctica. This is all proven now and the moon landing hoaxes so where is the evidence today of Globe?? All scriptures from all cultures say flat so where is the ancient proof of globe except nowhere. NASA lied about everything ok and they still cannot produce real evidence of ball earth, just photoshop, Scientists voted Flat ok so you need to realise this and wake up into the knowledge that you have been betrayed by the Globalists, who by the way, fly the Flat Earth Flag! @Adrienne Morrison . . .
You are either on drugs, insane, or simply uneducated to assume the Earth is flat. I REALLY hope you’re just joking here. I agree with you Adrienne, I’m new to Flat Earth movement and FE empirical evidences far out weight what the sphere globe can offer, all the globe has is the fake photo from NASA, all other else proves a Flat Earth. I came here to check on the curvature of the earth computation based on this 25,000 miles earth circumference, because anyway you compute it, the observable reality doesn’t match up, there is no curvature, horizon is flat, sea level is obviously Flat. And that sun and moon are pretty much smaller than they have said it is like sun far bigger, just see their movement and rays esp the sun, that is a localized event, that sun is not that big to cast its light shadow on half of the globe, nope I’ve seen non NASA source airplane clips, it’s different to what they publish! What more if we talked about Van Allen radiation, moon landing hoax, and Antarctica sinister treaty, the bs just keeps on piling up with sphere globe earth! You are absolutely right!! This article’s flawed. Too many people seem to be comfortable with their heads stuck in the sand. They refuse to study or ask sincere questions yet persist in dropping senseless mockery comments any time they have the chance. “And we waste air on people like you? by’krt’ …. Really? Even a pig has better speech !! I so, SO hope you’re kidding! How could anyone possibly hold onto the archaic and extremely flawed belief that the Earth is flat…? This “Flat Earth Society” is the one of the biggest groups of people with absolutely NO common sense I’ve ever heard of! I half expect them to also belong to the “Salem Witch Hunters Organization ” and “Equal Rights for Vampires” committee! YES….and it should be so oobvious. Just look at the water in a large swimming pool. It’s completely flat. Lake water is flat. All water will level out to be flat. That’s enough proof in itself. If the Earth was flat we’d have fallen off the edge by now. And there is actually a curvature, if you go high enough. We can also see all planets in the Universe are spherical, no celestial body is flat. And we waste air on people like you? WOW very interesting,can you tell us what information you base this on? Look up Imhotep from ancient Kemet (today called Egypt). He was a grand master astonomer. He discovered the circumference of the earth hundreds of years before Eratosthenes. He also opened a car wash along the Nile river……. I think. Not only was he credited in this ridiculous article (and others, even on nasa.gov) but somehow knew the earth was tilted on its axis AND somehow knew the distance of the sun and moon from earth. All by the year 200 BC. Yeah, right. Kolumbus would not have embarked westward to find a shorter route to India if the known-to-him estimation had not been the smaller, by Ptolemy communicated one. I believe that Eratosthenes was the first person to accurately measure the circumference of the Earth. Previous to this, the ancient Greeks knew that the Earth, moon and sun were spheres. When the phases of the moon occurred, they knew that only one half of the moon was illuminated. When the edge of illumination was a straight line, it was because your line of sight was directly in line with this edge. If the edge was not directly in front of you, but either slightly to the right or left, the edge of the illumination curved to the right or the left. This observation can only be possible if the moon is a sphere. It’s still only one half of the moon that was illuminated. If you draw longitude lines from the North Pole to the South Pole on any sphere, the line directly in front of you will appear to be straight. Any lines to the right of this line will curve to the right, just like the phases of the moon. Any lines to the left of of this line will curve to the left. Then in the 16th century, Copernicus theorized that the Earth and other planets revolved around the Sun. The proof came with the invention of the telescope after his death. Early in the 17th century, Galileo saw each of the same planets either much larger or smaller in the telescope, depending upon when the observations were made, either months apart or even years. This could only be so if the distance of the Earth from these planets was either decreasing or increasing significantly. Because if the Catholic Church’s assertion that the sun and all the planets revolved around a motionless Earth at about the same distance, then the apparent size of the planets would always be about the same, regardless of when the observation was made in the telescope. Your reasoning depends on two additional assumptions: the constant real size of planets and the circularity of orbits. Since we now know both are not true (not by much, granted) this argument in favor of heliocentrism (variable apparent size) is not valid. There are also atmospheric and gravitational phenomena that can affect the apparent size of celestial objects. Didnt the Greeks study in Egypt ??? … History is documented as noting Egypt to be the place where the Greek scholars as well as the noble scientists of most other countries had to go study and learn supreme science. Yeah, they went to a Hellenistic Egypt. And where did they go? Alexandria, which couldn’t have been more Greek except for the length of the boat ride. You need to learn your history, Einstein! The Greeks are the greatest of all times. Foh !! All world knowledge comes from Africa… Theres no evidence of anything coming out of Europe that dates beyond 10, 000 years… Go look it up from mathematics, surgery, and you forgot who built the pyramids and gave birth to all religion.. Just look at the american dollar bill, its all egyptian !! Even george washingtons hair do is paying homage to the Sphinx !! Rize, you insult a genius by using his name. Your ignorance abounds! First, there’s very little evidence of anything from anywhere dating beyond 8,000 BC. Known civilization though, began in the Fertile Crescent. The Sumerians of Mesopotamia were first to perform surgery, mathematics (1,000 yrs before the Egyptians) as well as the 1st written legal system. The Greeks refined all this tremendously. Religion wasn’t given “birth” to in Egypt either. It was around long before the Egyptian culture. And though the pyramids are a true wonder of the world, they certainly weren’t the 1st, nor the most amazing. As I said, you insult the name of a true genius, Albert Einstein (a European by the way) by spouting off nothing but pure ignorance. You don’t feel constant motion. How did he know it was noon in Syene? Didn’t they calculate time locally using the position of the sun overhead. Wouldn’t noon there have been when the sun was directly overhead? How did he know t was noon in Alexandria? You don’t even need to know it’s noon. But noon is the time of day that the sun stands at the highest point in the sky and will leave the shortest shadow. In particular, because Syene lies (nearly) on the Tropic of Cancer, on the two equinoxes (ca. 23 March and September), the sun will stand right overhead and leave no shadow at all, as the author noted. (the way I first read the story, it was not with columns, but that the sun would shine onto the bottom of a really deep well). So, if Columbus had had Eratosthenes figure, then the world’s average IQ would be an awful lot higher? “anyway you compute it, the observable reality doesn’t match up, there is no curvature, horizon is flat, sea level is obviously Flat.” What a genius you are DVito. You know, if everything we were to believe in is only based on what you can see, I’ll bet we would still be praying to witch doctors and attaching leeches and bloodletting when people get sick. Just like back in the good ole days. The smart one, more like the dumb one. I will have you know that there is no continent called the United States? Are you a very arrogant American or just plan stupid. The United States is on the continent of North America and shares that continent with other countries, one of which is my own country of Canada. I will give a full blown knuckle sandwich to anyone that dares to call me an American and not a Canadian. Do yourself a favour and come to Canada and go to a real school. Knowing the way Greek philosophy works, he was probably not called Beta because of being second best at everything, but because the Greeks believed the gods were perfect, and the best any mere mortal could ever be was second best. Thus Beta really refers to the best anyone could be without being a god. The problem is that they had no idea how far away India was, or really much idea how far they had sailed. Of course, contrary to popular belief most people other than the completely uneducated knew the world was not flat and they wouldn’t fall off. What is true however is that a lot of sailors believed in sea monsters far out in the ocean, or far away from Europe. uhhum in red text ‘people at that point had known for some time that the world wasn’t flat, contrary to popular belief’ do you have a valid reference for this? Conclusion: the size of earth today is still based on estimates and assumption that earth is sphere and some mathematical calculations that may still be wrong or inaccurate. It is still base on pseudo-science and not real Science. If Earth circumference is 24,900 miles, could you already see a curvature on 1% wide (249 miles)? Here is a simple formula in this article that says if a sailing ship mast is about 100 feet tall then it will disappear after 12 miles out. Larger modern ships (200+ feet tall) will gradually disappear after 17 miles out. Of course your height about sea level must also be considered.